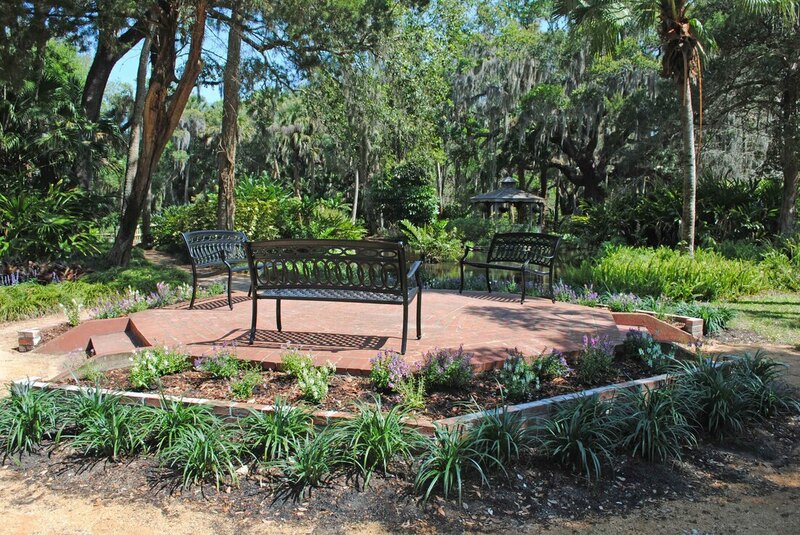 The gardens at Washington Oaks Gardens State Park could be the perfect backdrop for your dream wedding. There are several wedding locations to choose from depending on your party size. Gazebo, Octagon, Old Oak Tree, Stage, Visitor Center area (not pictured) or Beach (not pictured), . Please see party size limitations and pricing information on the wedding agreement below. The Park's pricing information, rules, and regulations are available below. Reservations are on a first come, first serve basis. Please call 386-447-1553 to check available dates, and be prepared to send in applicable paperwork below, with payment, to secure reservation. We do not offer tours of wedding areas, please visit the park during normal business hours, 8am-sunset, to tour the Gardens. We are unable to accept wedding agreements on site, please email or fax using the information provided on the agreement form. Please click the buttons to discover how to create your perfect day within the beautiful gardens or on our beach at Washington Oaks Gardens State Park!